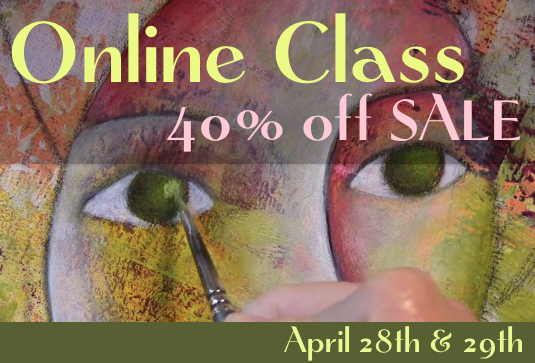 My NEW online painting class! Yea! After taking a couple of years off from teaching online, I'm finally back! 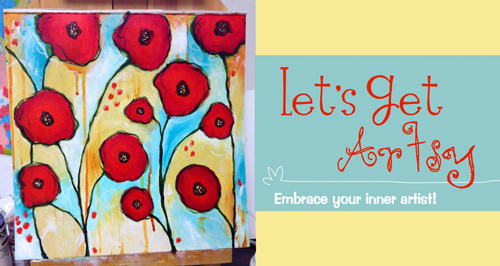 Here's my first new painting course....its titled "Let's Get Artsy" - Abstract Poppies and it is a self-paced class and you get access to all the course content as soon you as you sign up. You can read all the info here and register for the course as well. There is also a Facebook group where you'll be able to share your class paintings and connect with other students in the eCourse. Below is a video about the eCourse with info about supplies needed. i'm feeling a wee bit better today after having an icky sickie week and this just made my week!!! have a happy friday y'all!